Attention fellow footie enthusiasts! 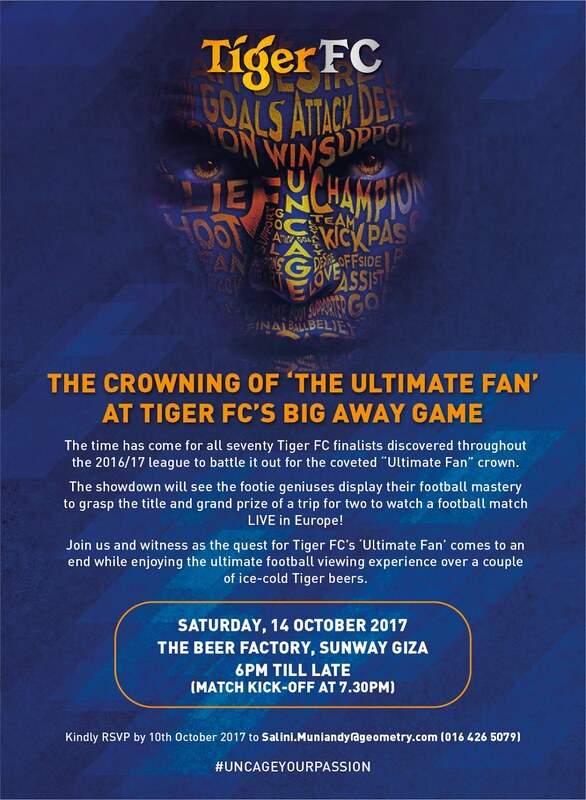 Block your date and bring your friends along to Tiger FC’s Big Away Game at The Beer Factory, Sunway Giza on October 14 for the ultimate football viewing experience! Witness as two of the biggest names in world football go head-to-head in a match that promises to deliver plenty of action. 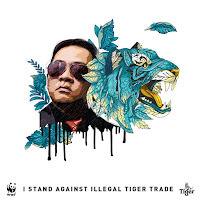 And there’s more to do than watching the clash of these two giants - Tiger FC’s search for “The Ultimate Fan” reaches its pinnacle, with the champion winning a trip for two to watch a football match live in Europe. Football buffs will also get to enjoy Tiger Beer, Tiger White and Tiger Radler at RM50, RM60 and RM45 per bucket respectively, while having the opportunity to participate in various games to bring home awesome prizes. So, be sure to head over to The Beer Factory, Sunway Giza on October 14 from 6pm onwards for the ultimate footie experience! For more information, visit Tiger Beer’s Facebook page at www.facebook.com/tigerbeermy. Everydayfoodilove.co/ angeline-ong-yoga.blgspot.com. Thank you for reading! 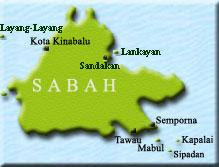 We are currently expanding our reach in South East Asia to bring more for your next leisurely consideration. Our media team does media coverage for a wide variety of topics, ranging from Lifestyle events, HoReCa (Hotel, Restaurant and Cafe) reviews, Upcoming Clubs and Product launches. 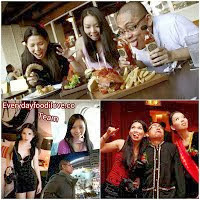 Our other interests also include but are not limited to dance, fitness, movies, technology and photography. Please subscribe to our facebook page. If you would like to get in touch with us, please contact us via email at angel_line78@hotmail.com, monicaong@hotmail.com, or michael.marvin.photography@gmail.com.